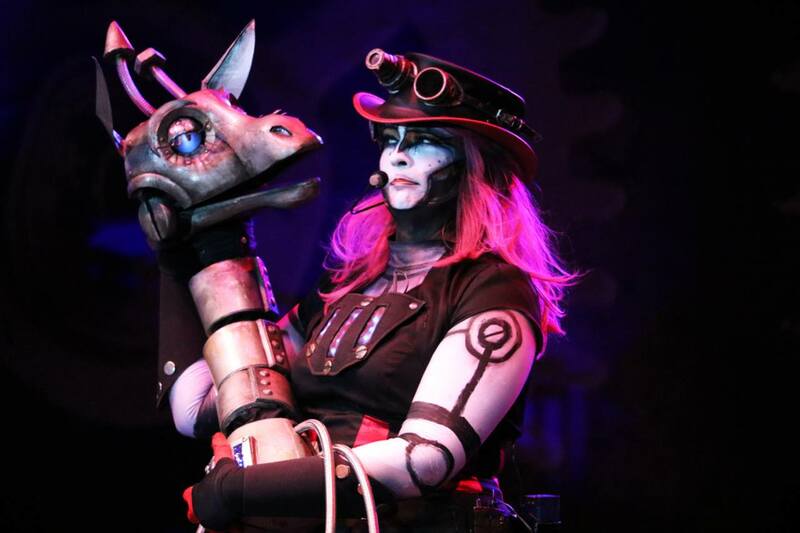 For our last category in the Performers theme, we come at last to Steampunk. 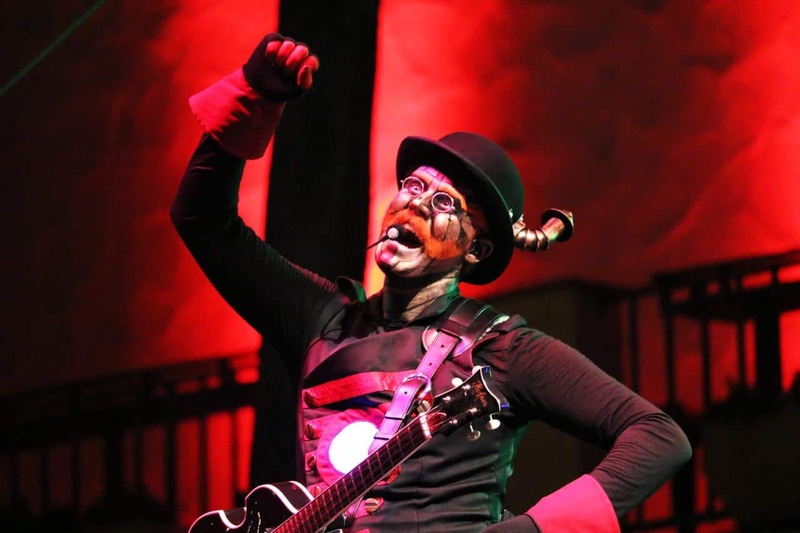 There are a good number of steamy performers ​out there, but a lot of them seem to have come and gone without staying the course. 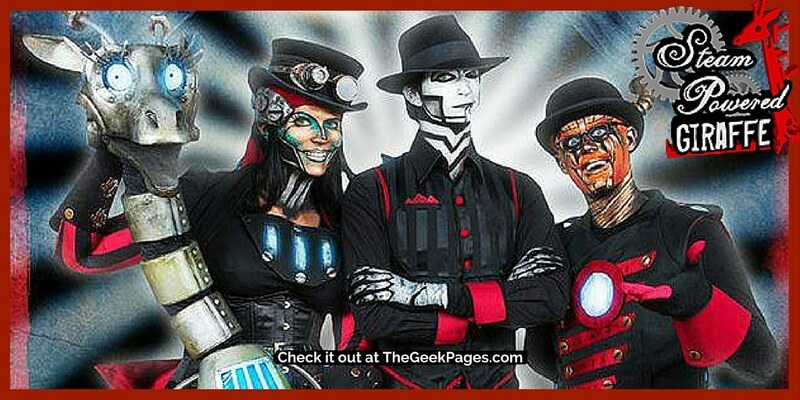 By contrast, this troupe has been together since 2008 and is still going strong. 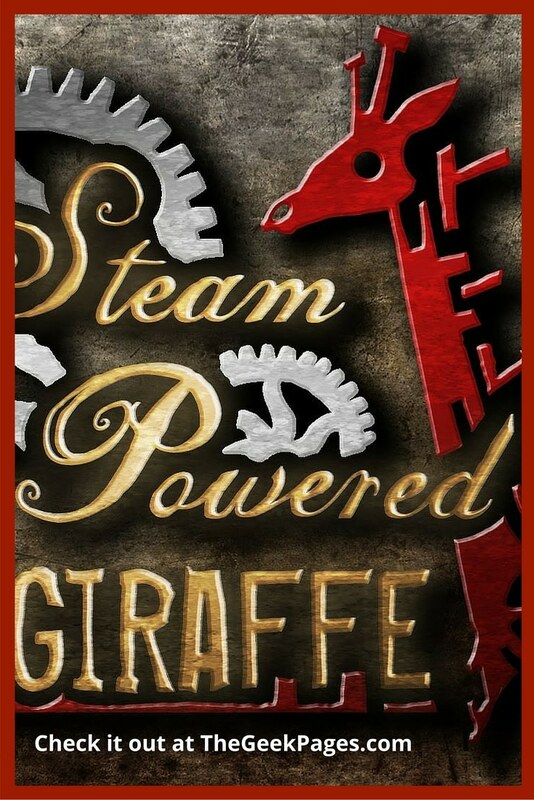 So what exactly is Steam Powered Giraffe (let's call it SPG from now on)? 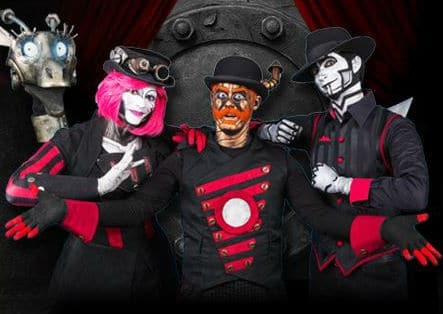 According to their web page, ​SPG is a multimedia show that includes comedic sketches, improvisation, original music, visuals, billowing steam effects, and robot pantomime. Wow, sounds like a lot, right? 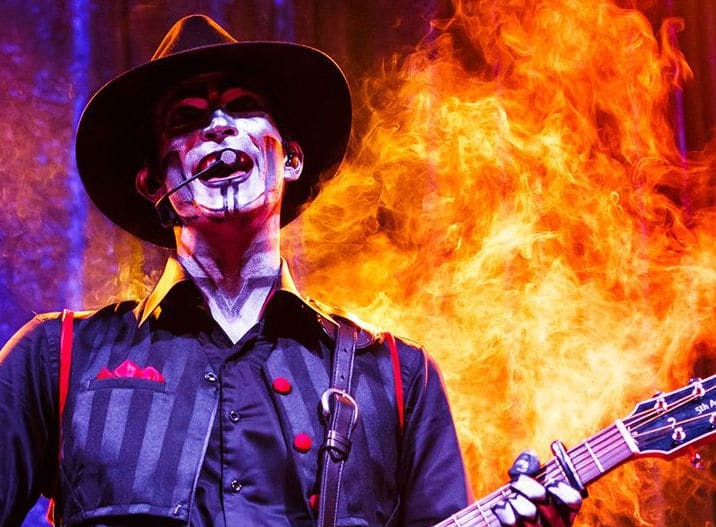 I think a video is needed here.​ Take a look at the first few minutes of this live show to get a taste (Note - this entire video is an hour and 45 minutes long - it's a complete show). This group does not do anything by halves. 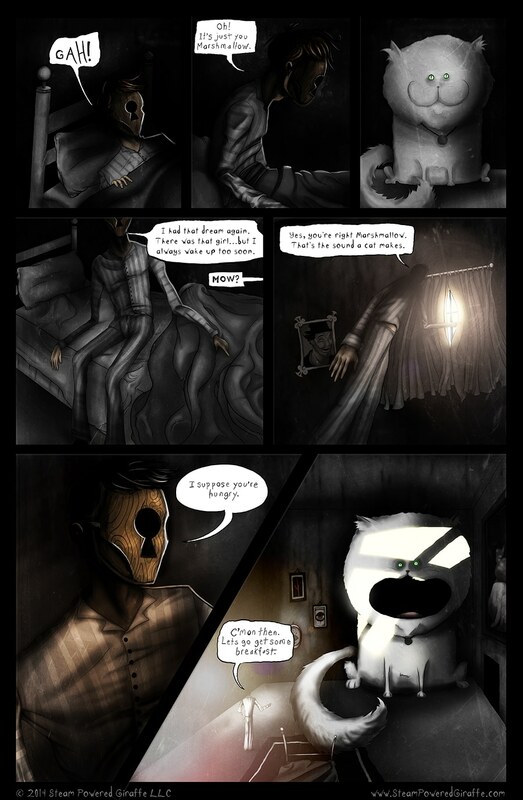 They have an elaborate background story, going all the way back to 1896, as well as a comic series and more. The comics seem to be all different without an ongoing story (at least as far as I can tell from my admittedly brief perusal). 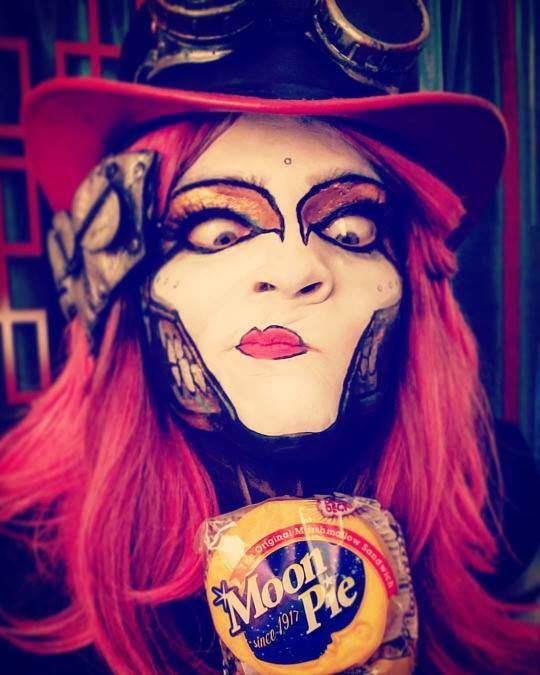 Some are brightly colored and some dark and spooky. Some are quirky and surreal. So, there's a lot going on with these guys. And, oh yeah! 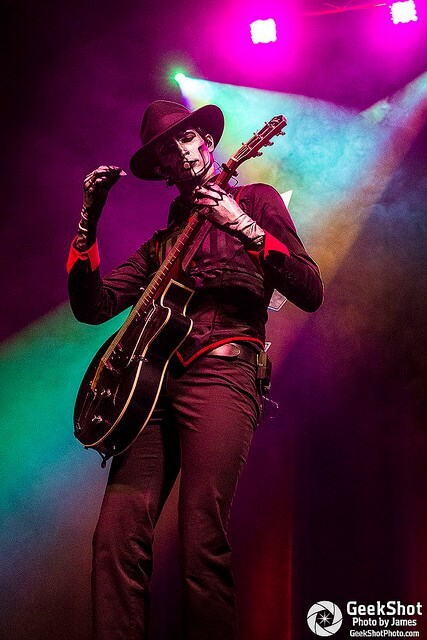 Let's not forget the music (which I love). Some songs are fun and fast, others sweet and poignant. 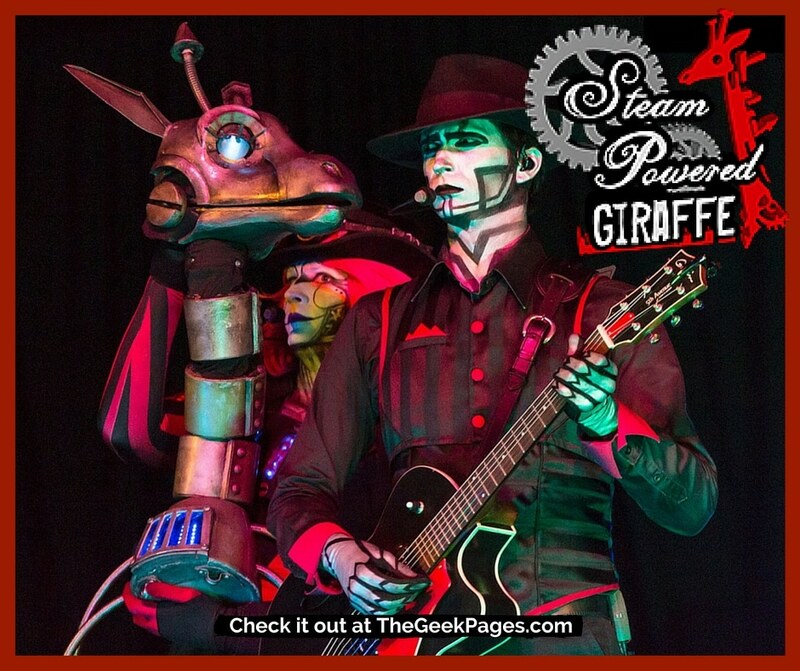 I am definitely putting a live Steam Powered Giraffe show on my must-see list. 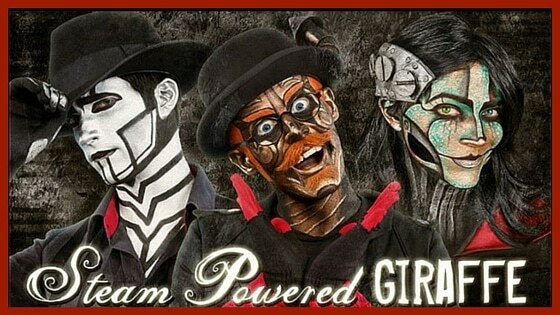 But or now, I'm off to go watch more SPG videos.... What about you? 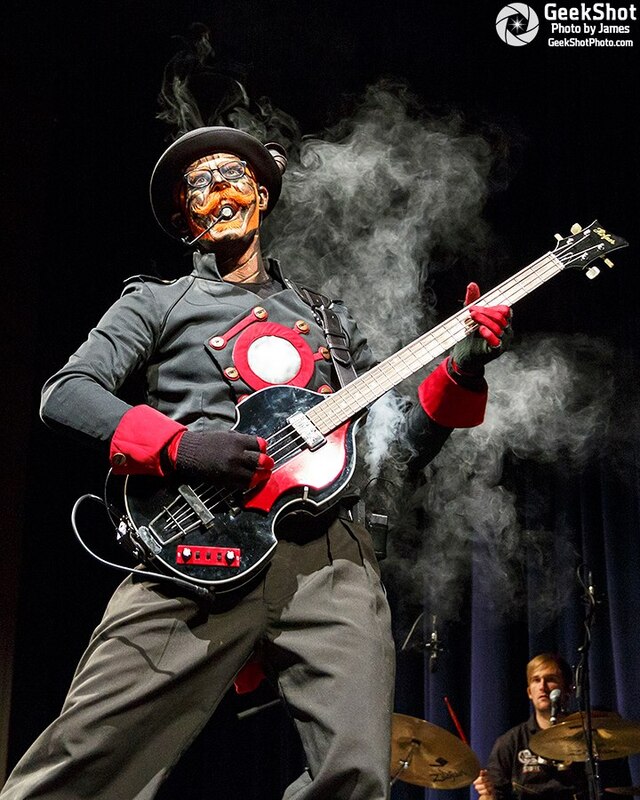 Who's your favorite Steampunk band? Tell us in the comments!